With this update, it is now possible for your device to automatically identify the track and artist for music playing in your surroundings, even with your smartphone in your pocket or bag, just by turning on the Automatic Music Identification setting in the app. Each identified track will be added to a list, and the user can later check this list and perform instant playback of any of the tracks that were found. Also, by adding this feature to Quick Settings on your Android device, it is possible to turn on Auto-Identify and off even without loading the app. Click here for more details on how to use Automatic Music Identification. Ed Sheeran's Shape of You, which was used in a popular drama, was the most searched track using the Music Identification Feature last year, and this led us to believe that many individuals used the Music Identification Feature to search for this track when it played on their television or other devices. Daily life is brimming with situations where we might want to know the artist and track name for music we happen to hear playing in our surroundings. Music on TV, as well as music playing in cafes, out on the street, or even being hummed by a friend—there are countless possibilities for using this new Auto-Identify Feature to automatically identify music without even having to take out your smartphone. 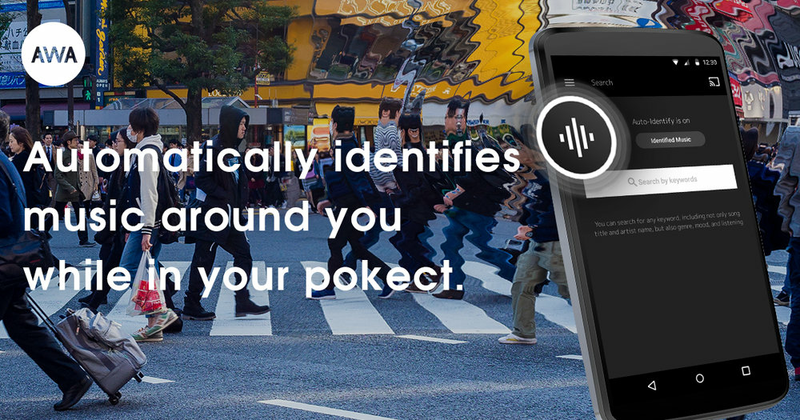 Make this update your chance to enjoy a new way to "Identify Music."